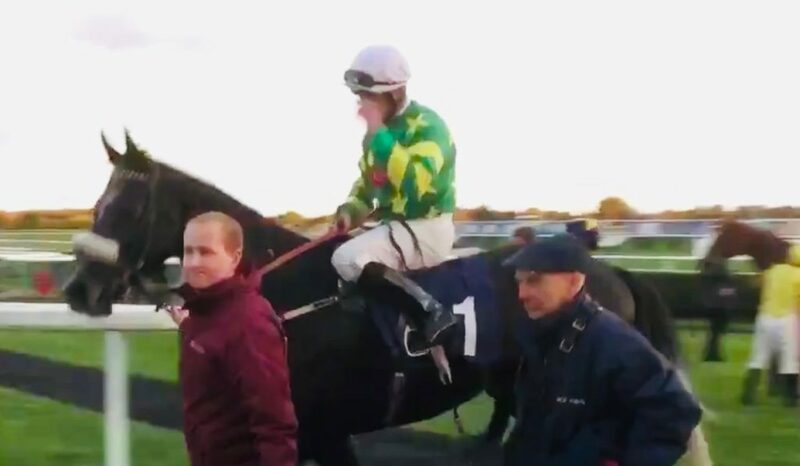 Many congratulations to Betfair winning jockey Charlie Todd who enjoyed a second career winning ride at Leicester yesterday when storming clear in the Fosse Way Handicap over 7 furlongs to win by 6 lengths on Mike Murphy’s Young John. The well supported penultimate gentleman amateur riders’ race saw a field of 15 take part, with Alex Fielding 2nd on Mick Easterby’s Desert Dream and Ben Furnival 3 1/4 lengths 3rd on David Loughnane’s Berlios. 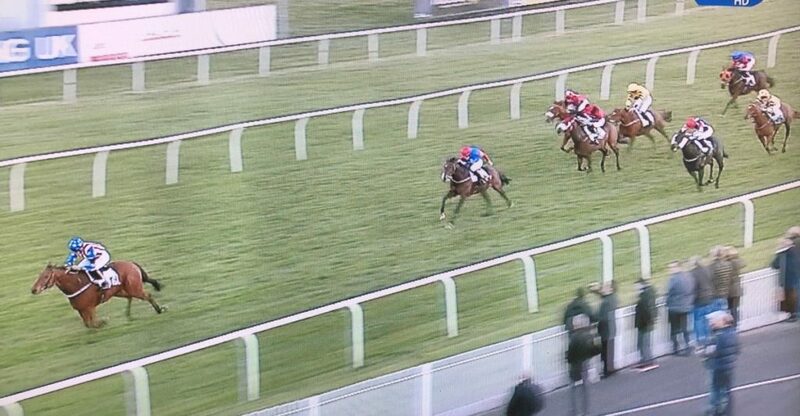 Well done Charlie on a great ride. 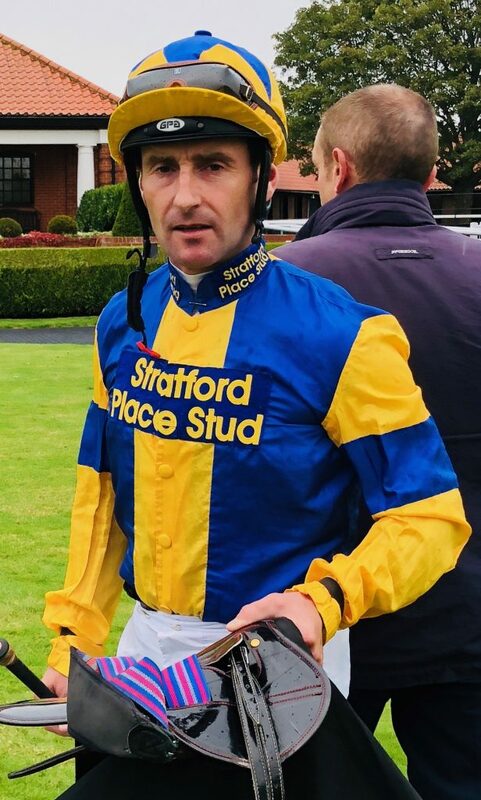 Many congratulations to Simon Walker on a smooth performance at Doncaster on Friday when winning the final mixed race of the amateur Flat season, the Amateur Jockeys Association Handicap run over 1 mile and 2. 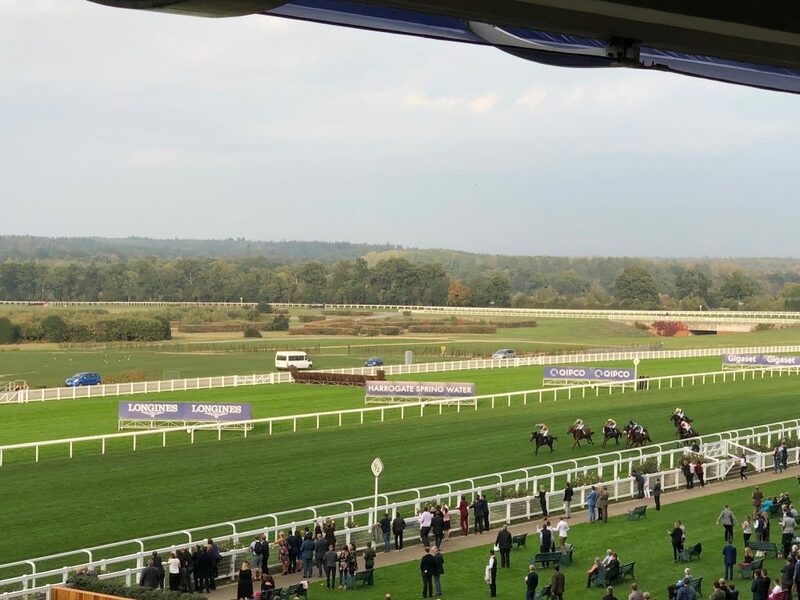 Holding up TRALEE HILLS in the early stages, the pair made steady headway on the outer from 3 furlongs out and under Simon’s driving Tralee Hills responded to keep on well to hold on by a neck from Matt Ennis aboard Alistair Whillans trained ZEALOUS by Peter Hedger . Ella McCain was 3rd on MEARING for Iain Jardine. This win elevates Simon one ahead of reigning champion Pat Millman to go into the men’s finale at Nottingham tomorrow at the top of the leader board on 4 wins for the season and secure him an incredible 11th Gentleman’s Flat Championship over the last 14 years. 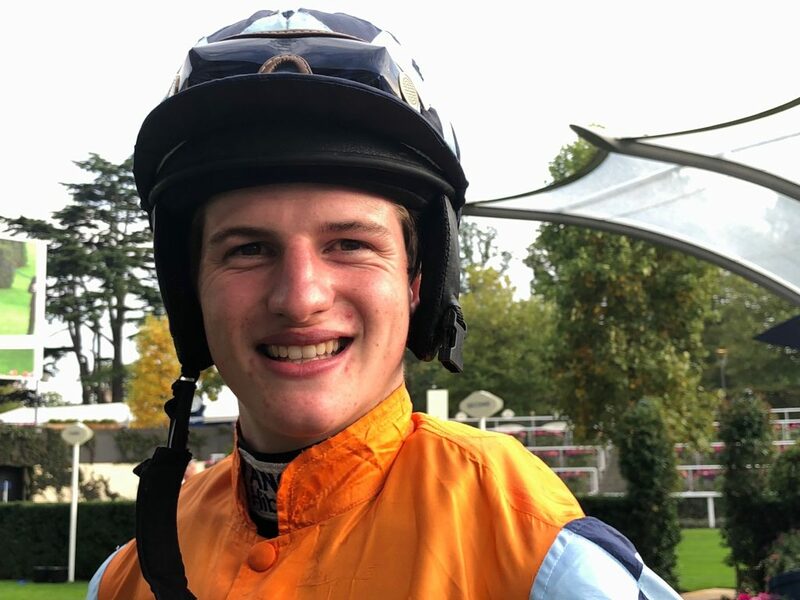 Pat Millman currently holds the runner-up slot but, without a ride himself, there is a chance he could be joined by 2014’s Joint Champion Jockey Ross Birkett who is one of 4 jockeys having ridden 2 wins this season, the others (without a ride tomorrow) being George Eddery, James Harding and Dr Misha Voikhansky. We look forward to seeing a full field of 16 runners sign off the gentlemen’s season before the ladies enjoy their finale at Nottingham next Wednesday. Good luck all! 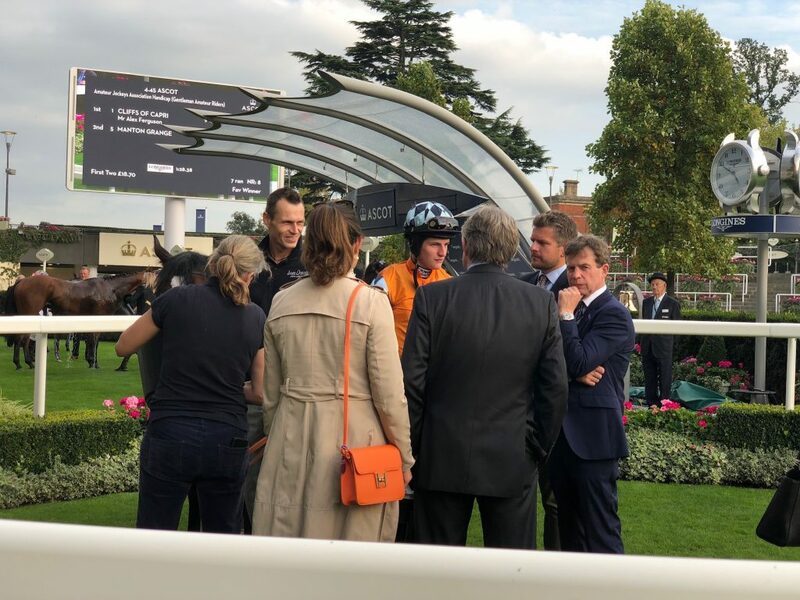 Presentations will be made on each occasion to the Champion Jockey and to the Runner-Up following winning connections’ presentations after the race. 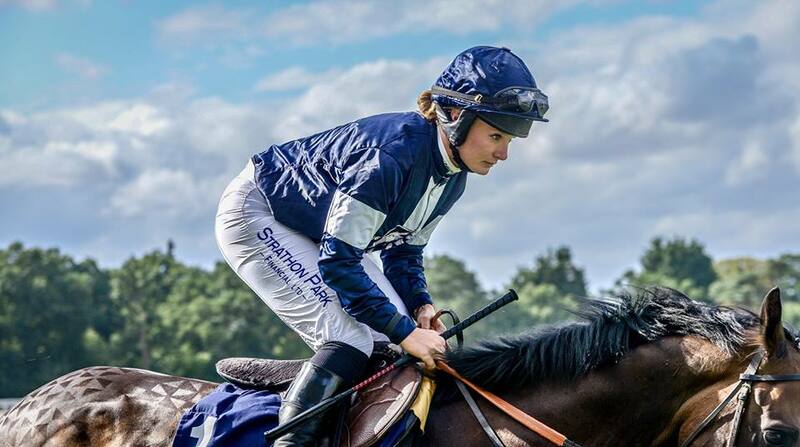 Nell McCann enjoyed 1st win with 1st ride in Betfair finale at Windsor! 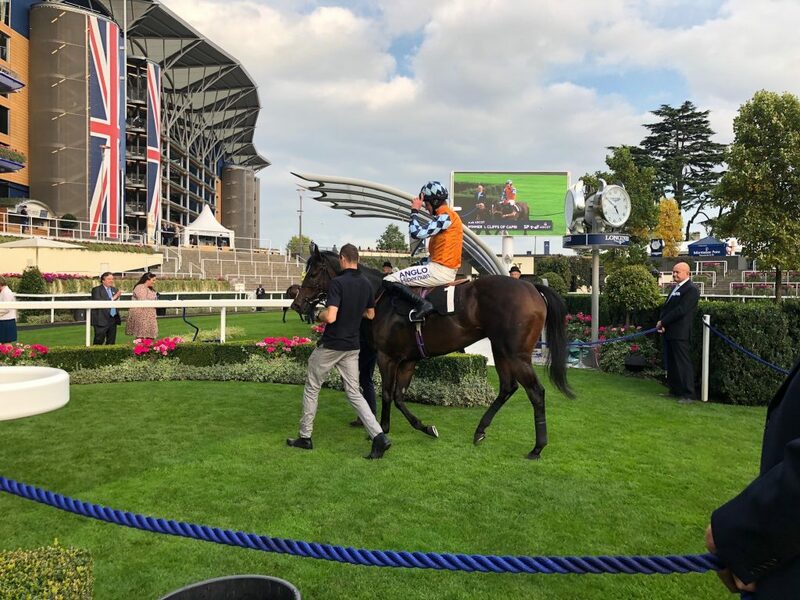 Many congratulations to Nell McCann who enjoyed success on her first ever ride when partnering SOCIAL BUTTERFLY for Mick Channon at Windsor in the 6 furlong finale of the Betfair 8 race series for novice riders. 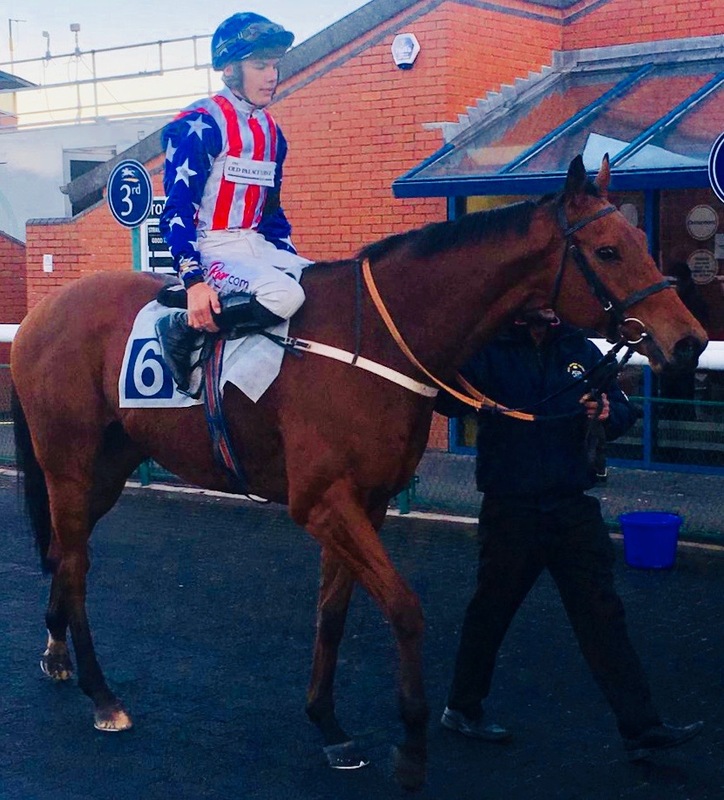 Always handy, the partnership joined the leaders at the half way stage and led inside the final furlong to keep on and win by half a length from series winning jockey Tom Midgley who came from a long way back on COASTAL DRIVE, with Sarah Bowen and WHITECREST a further length and 3/4 3rd. Following the race Nell said “Social Butterfly took me through the whole race by herself – it was absolutely brilliant. 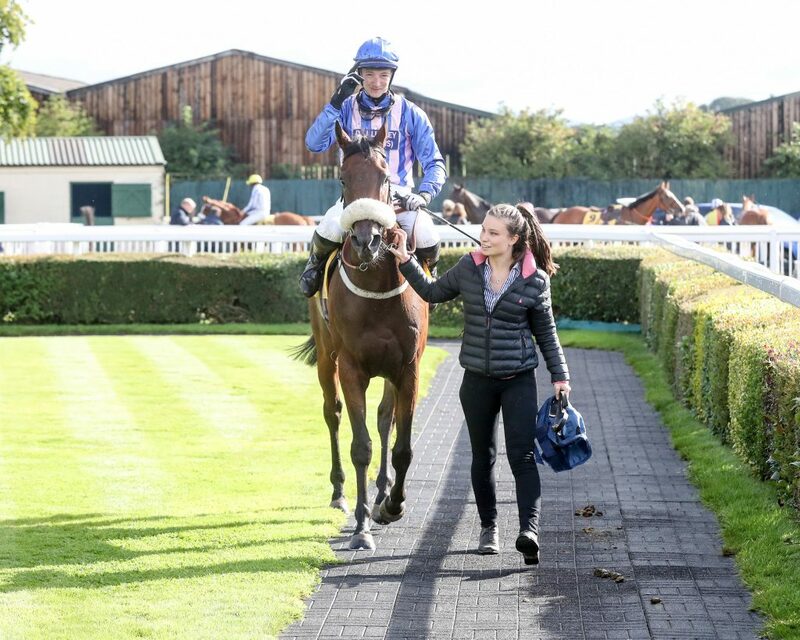 She travelled so perfectly and picked up exactly when I asked.” Well done Nell on a great start to your career – and a worthy win for a real hard worker according to your boss which makes it even more rewarding. Congratulations to all winning connections! 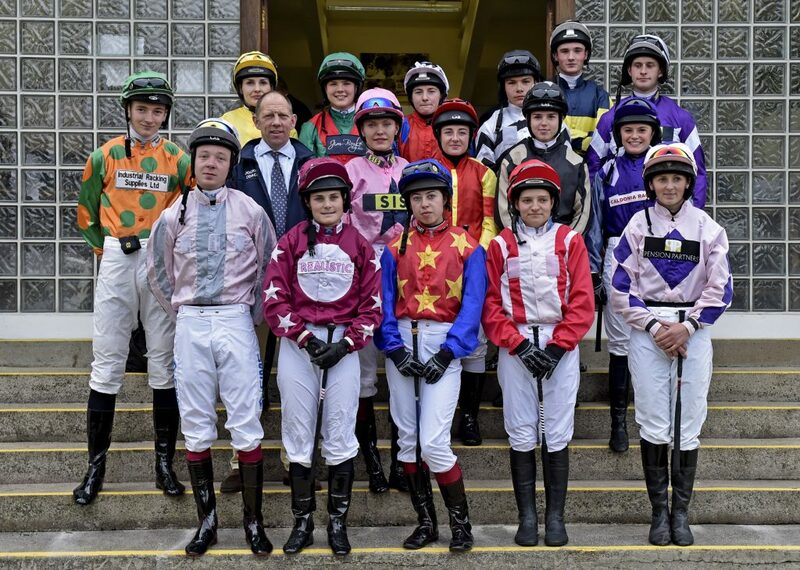 Congratulations to Tom Midgley, series winning jockey, together with all other winning jockeys who have enjoyed success in this series – Dylan McDonagh, Ellie MacKenzie, Amy Collier, Charlie Todd and Jessica Gillam – and all other participating jockeys who have ridden so well. 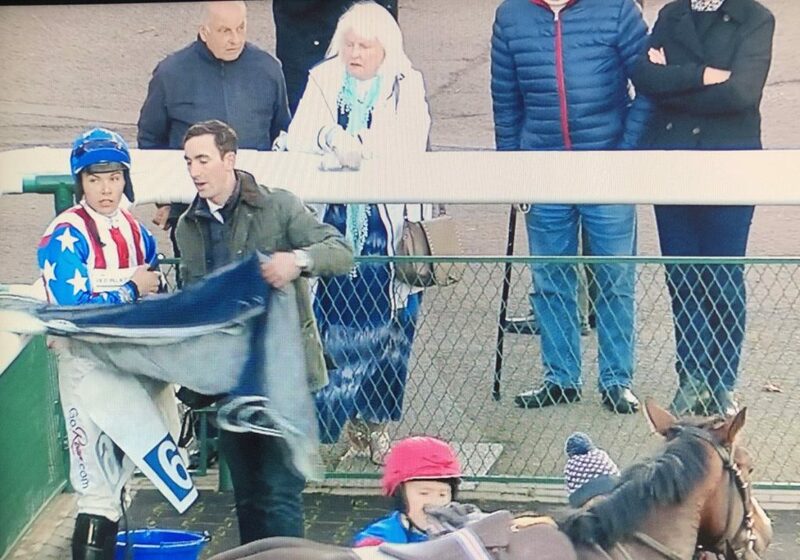 Many thanks to all supporting racecourses as well as Jockey Coach Tim Reed and all trainers who have given so many novice riders race riding opportunities that they may have otherwise been denied. 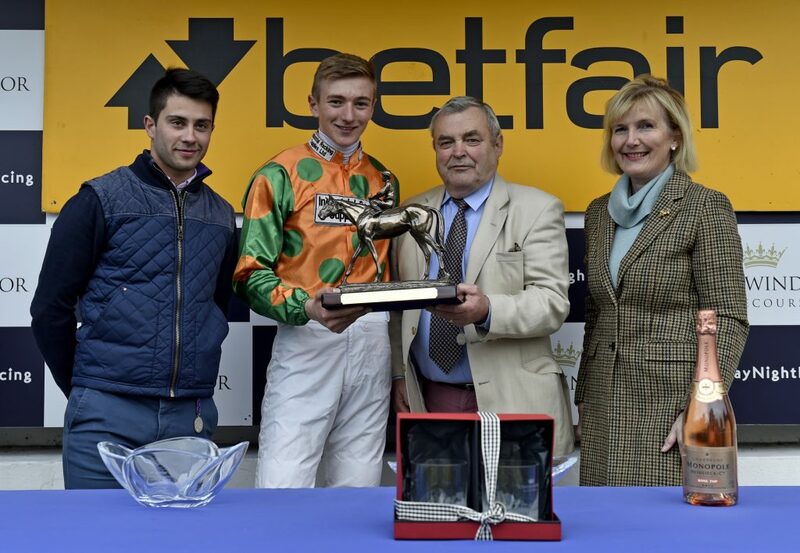 Importantly, huge thanks must also go to our loyal sponsors Betfair for yet another great series. Planning now starts for 2019 for another great series to look forward to next summer! 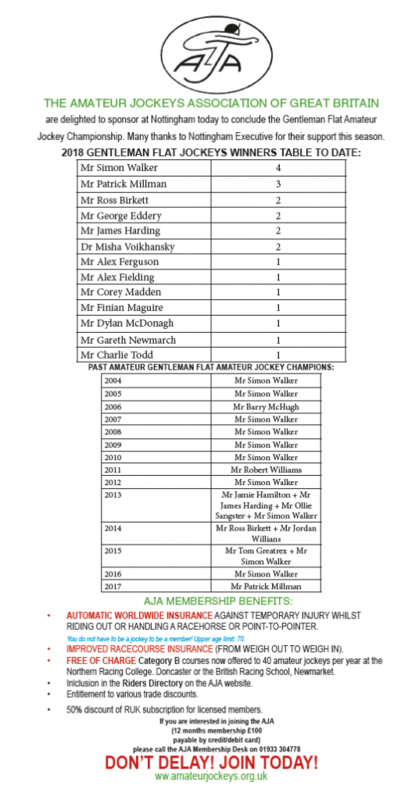 The inaugural running of the Amateur Jockeys Association Handicap over 7f was held on Friday 5 October at Ascot for gentleman amateur riders. 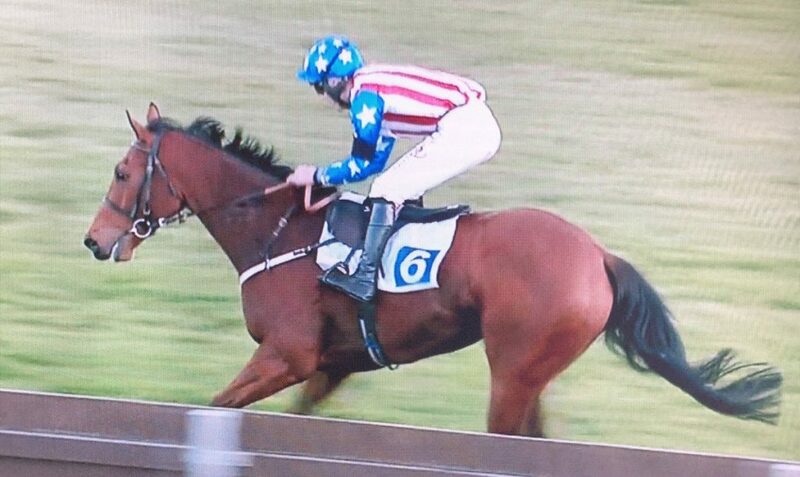 With an initial entry of 18, 7 went to post. Held up early on, CLIFFS OF CAPRI under Alex Ferguson made progress from halfway to lead inside the final 2 furlongs and win by 2 1/4 lengths from Freddie Mitchell and MANTON GRANGE, with Patrick Millman and DADDIES GIRL a head 3rd. 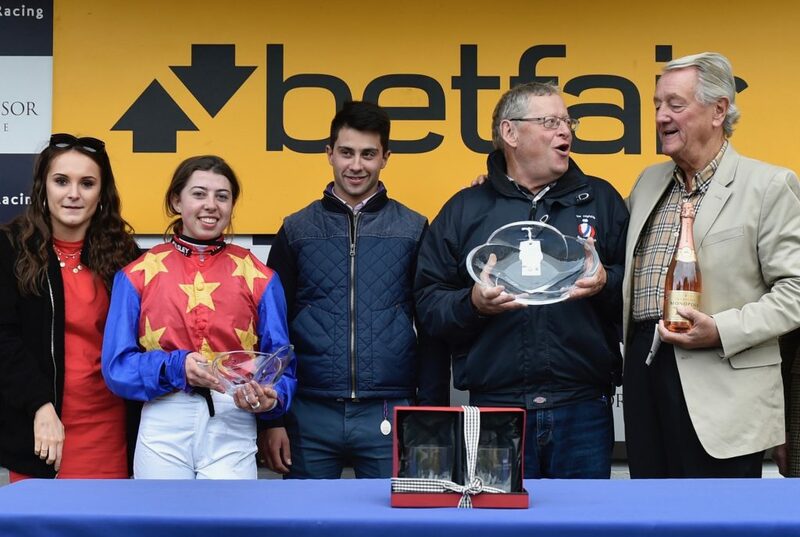 Jamie added that he originally booked Patrick Mullins for the ride and when Patrick rang him to say he was unavailable whilst he travelling to Goffs with John Ferguson, Alex’s father immediately put him in for the ride. Well done Alex on a great ride! 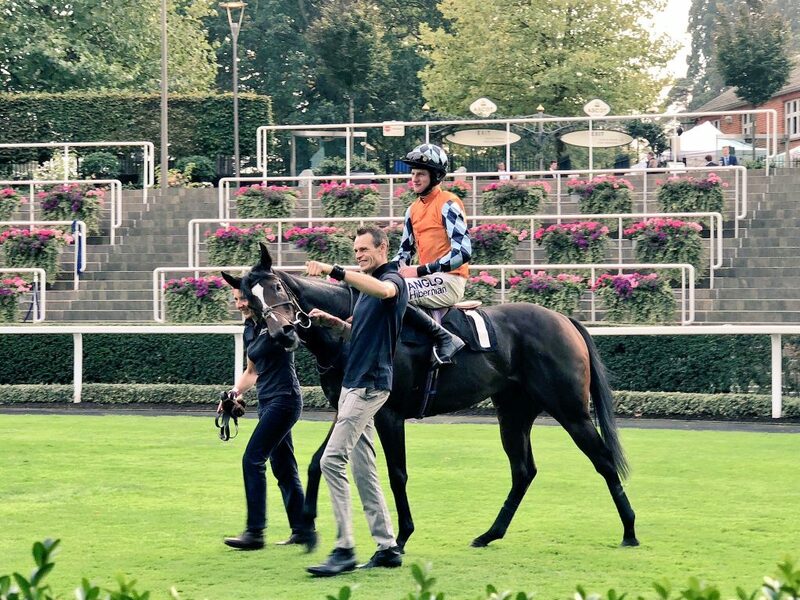 Are you a light gentleman amateur jockey who would be interested in riding abroad? 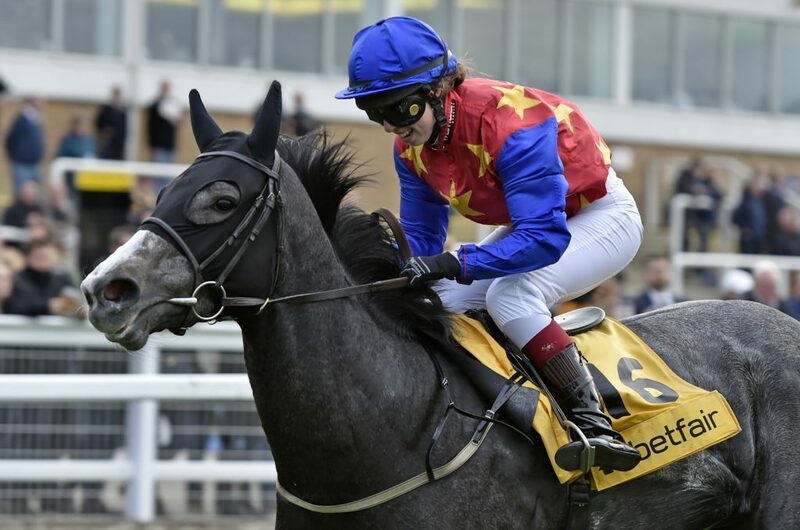 There is a possibility for a light amateur gentleman jockey to enjoy the opportunity to ride in China later this month from 26 to 28 October by kind invitation of Wuhan Jockey Club. 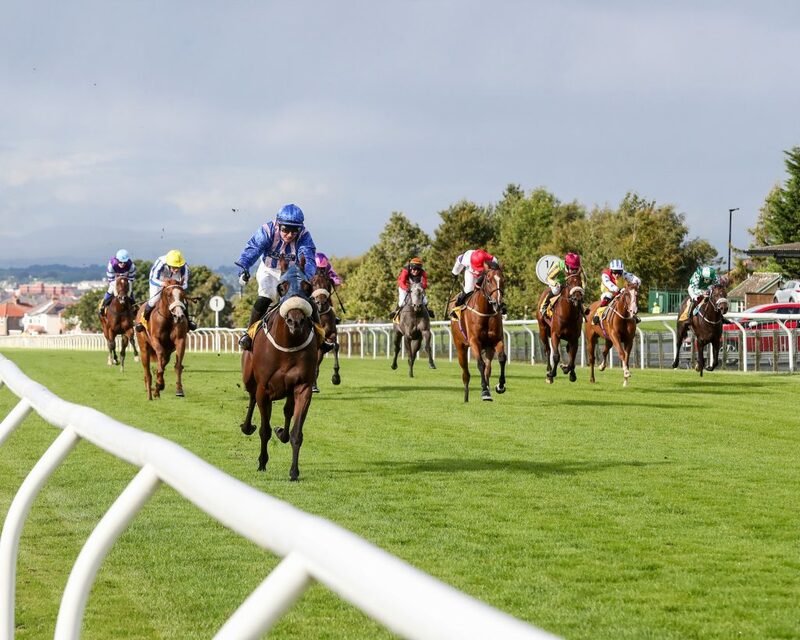 The race is a 1200 metre non-handicapped for non-Thoroughbreds on 27 October and details are yet to be confirmed. All expenses of flight and accommodation will be met. In addition it is hoped that future trips will be available to not only China but also other countries worldwide for gentleman riders with plans currently in progress. 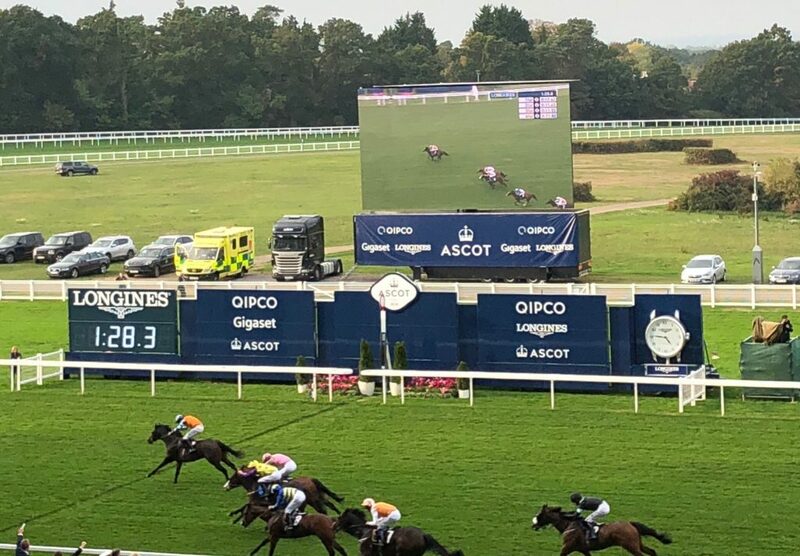 If you are nearer 9 stone than 10 stone and would like to put your name forward, please e-mail your details (including total number of rides and wins as well as age and weight) to sph.oliver@btinternet.com. 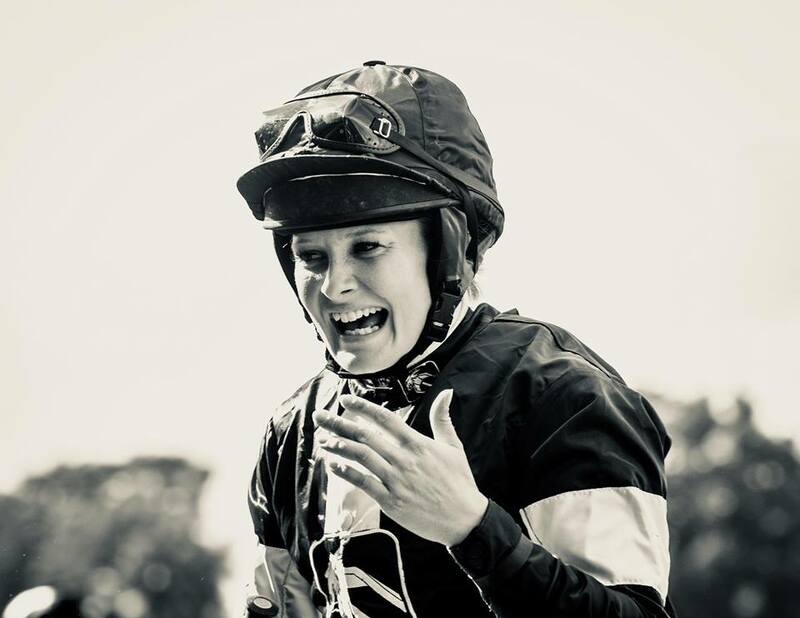 Many congratulations to Joanna Mason, our leading lady jockey and Champion Arabian Lady Jockey for the third successive seasons this year, on reaching the final nominations for the “Women of the Future” Awards to be held in London in mid-November. Joanna is following in the footsteps of Alice Mills (2016) and Page Fuller (2017), and we are delighted for Jo’s great achievement in reaching the finals in such a prestigious initiative – “to unlock a culture of kindness and collaboration among leaders”. These awards, founded by Pinky Lilani CBE DL, provide a platform for the remarkable female talent in the UK and recognise the inspirational stars of tomorrow across diverse sectors. 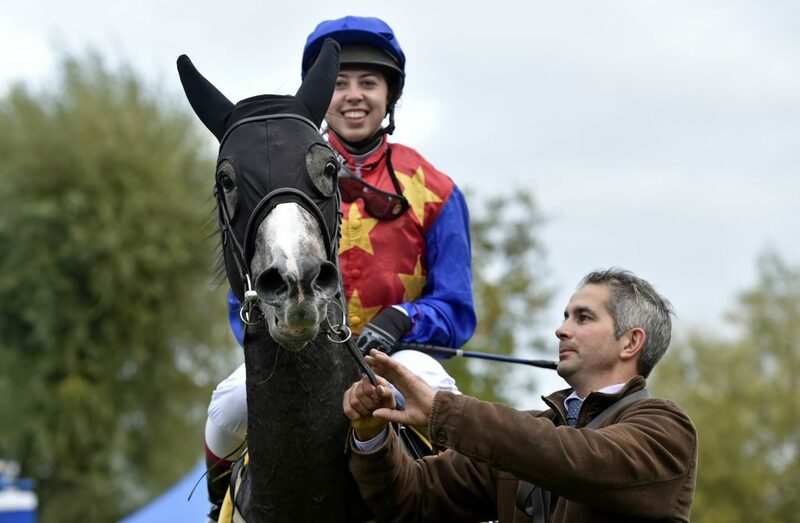 Jo’s nomination is a recognition of not only her talents as a top amateur jockey (currently leading this season’s All-Weather Championship and Joint Lady Flat Champion in 2017) but also of her courage in overcoming serious injury to return to the saddle and continue enjoying her competitive riding career. Well done Jo! 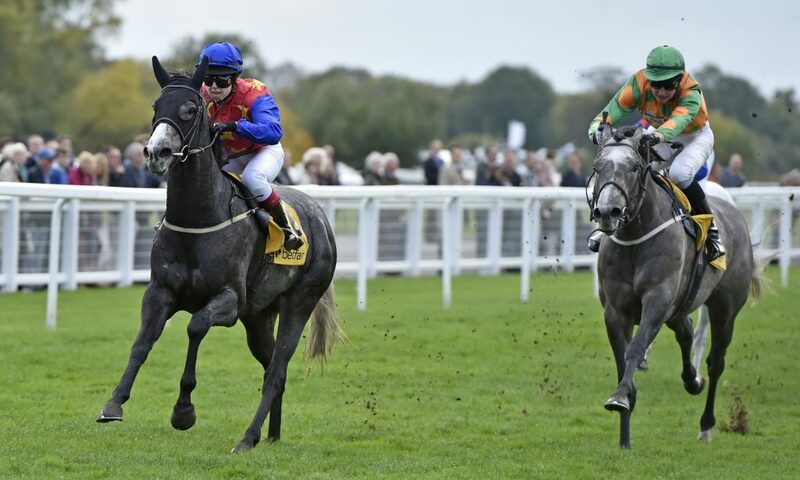 It is heartening to see 29 entries for our final Betfair Novice Riders Series to be held at Windsor next Monday. 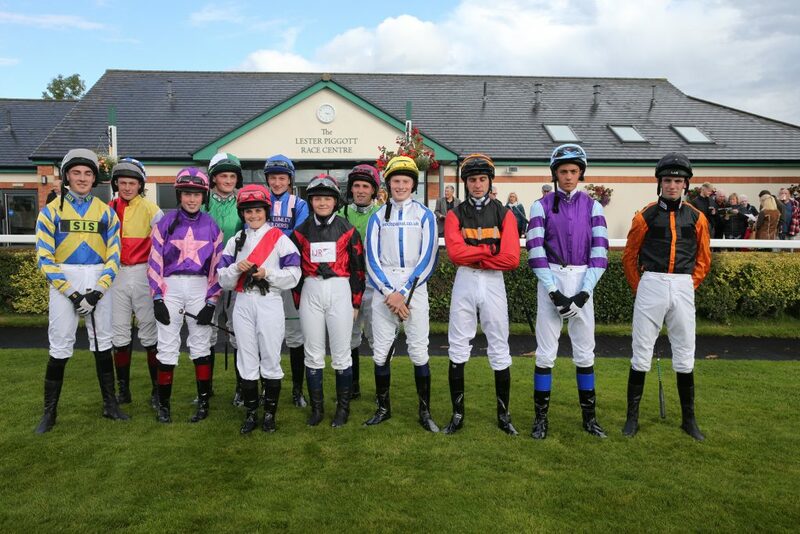 The penultimate race in the series was held at Carlisle on 6th September with 12 novice riders benefiting from the watchful eye of Jockey Coach Tim Reed with a coursewalk and post race debrief as is standard in this series. The race was run over a mile with Tom riding for Alan Brown aboard WARRIOR’S SPIRIT. 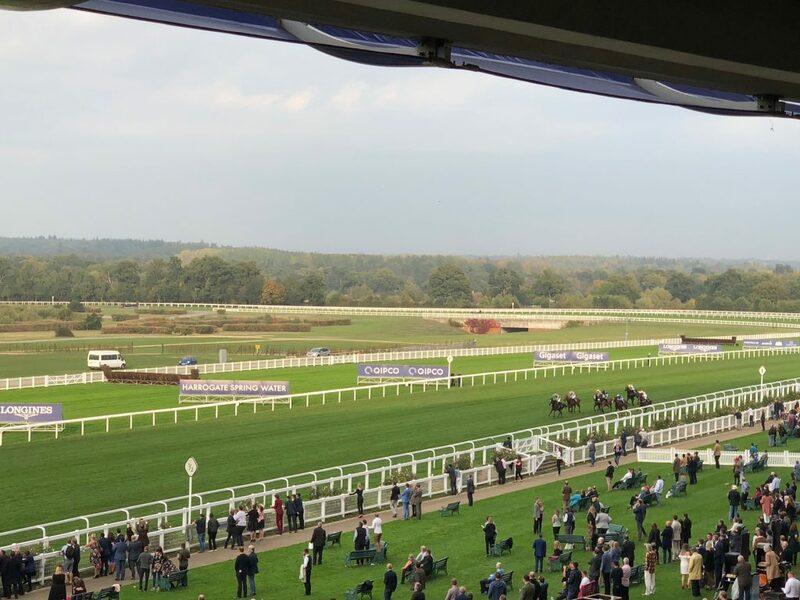 Holding his horse up until 2 furlongs from home, he led inside the final furlong and kept on well despite drifting right to win by 2 1/4 lengths from Tom Greenwood and EDGAR ALLAN POE 2nd, with Rachel Sharpe and COLOUR CONTRAST just a short head 3rd. James Jay Kendrick was 4th. 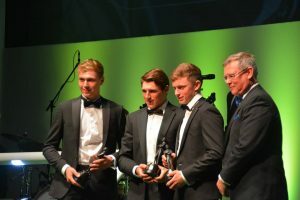 This victory put Tom in an unassailable position as series winner with 15 points, 6 clear of his nearest rivals Billy Garritty and Ellie MacKenzie. Many congratulations to Tom on a wonderful achievement! The competition for the runner-up slot remains open. 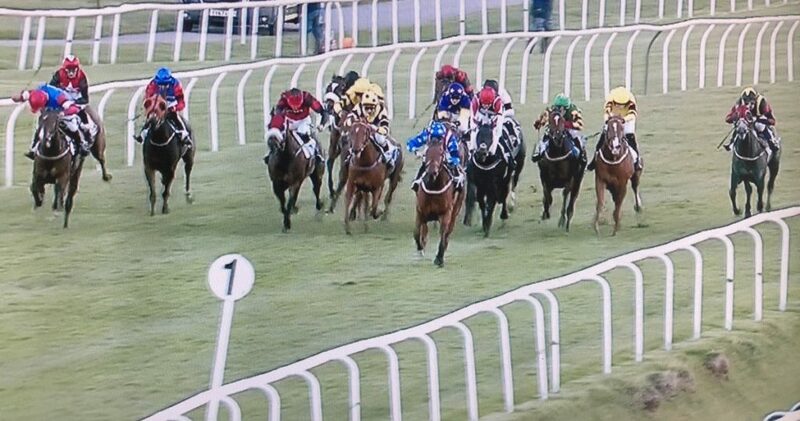 Huge thanks to our loyal sponsors Paddy Power Betfair without whom these great race riding opportunities would not be possible for so many novice riders. Good luck all! 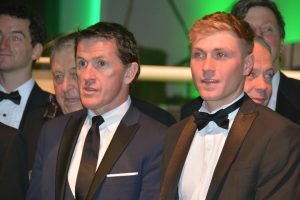 Many congratulations to our 2017/18 Champion Amateur Gentleman Jockey Lorcan Williams on being awarded the Jump Award 2018 by the Jockey Club at the McCoys on Friday evening at Cheltenham Racecourse. 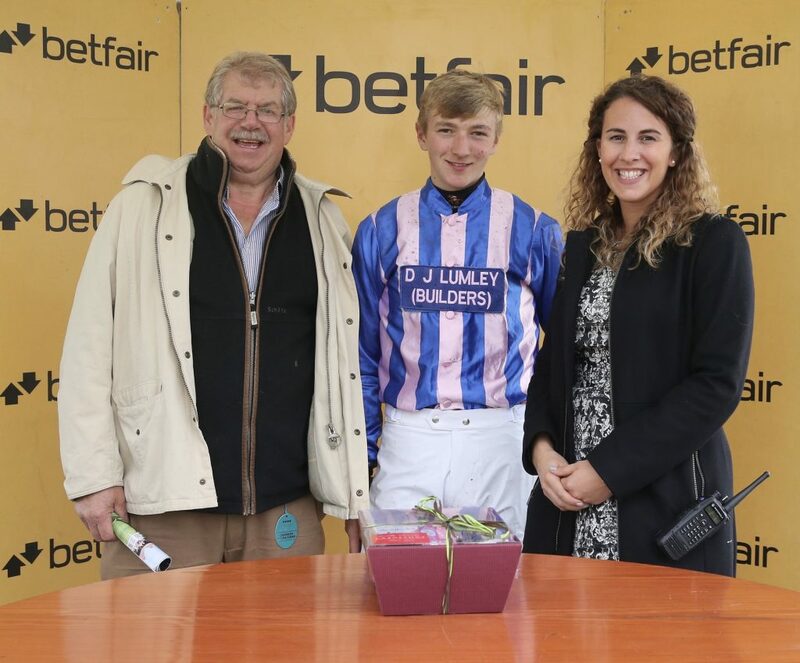 Lorcan finished last season (aged 18) with 12 wins, with both Zac Baker and Alex Edwards joint runners-up with 11. 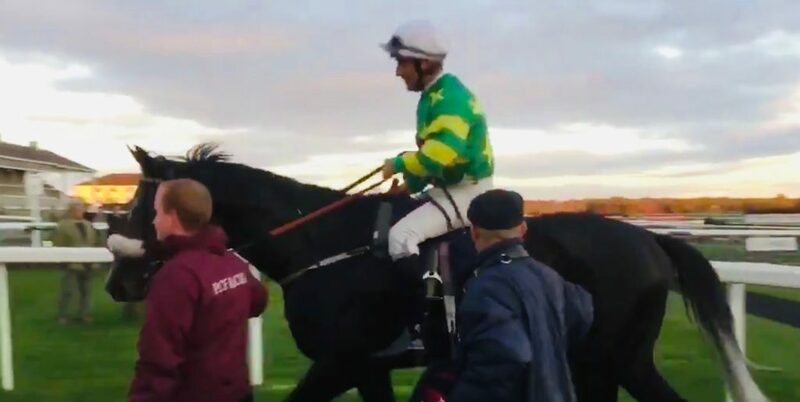 Lorcan has now turned conditional attached to Paul Nicholls’ yard. We wish him well for every success with his future career.